| CHATTING with a group of members during the coffee break at our stimulating Made in Britain workshop in Wolverhampton last month, the conversation turned to trade bodies and other membership organisations. “What’s the difference between Made in Britain and the ‘others’?” asked one curious delegate. My usual response is that we’re ‘official’ and last month I used this column to tell you about our registering of the Made in Britain marque to protect its intellectual property so our members can use it as much as they want and with confidence. But the ‘official’ response can draw questions about the other people and trade bodies shouting about British manufacturing from the sidelines. It seems to me that some individuals trying to promote manufacturing appear to be promoting themselves first and charge big membership fees. Well, we know from our surveys of MiB members that they want their name and their products at centre stage, so that’s where we put them. 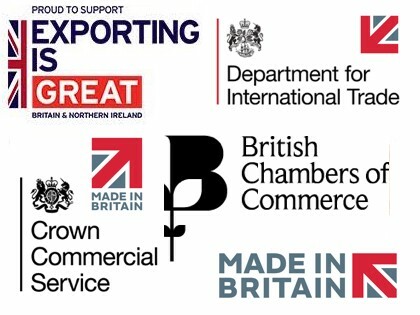 The MiB organisation has almost doubled in size in 24 months and we’ve always shared our strategies and our events with organisations that we want to buy more of our members' products: HM Government, local authorities, The British Chambers of Commerce and Department for International Trade. In 2019 we want to add consumers to that list and we’re recruiting an agency to help us. We’ll be sharing much more about this new partnership in our next edition of #1000makers.